Inspire your clients to contact you for their next vacation with professionally designed marketing and direct mail. Each piece is exclusive to Nexion Travel Group members as part of their membership and seamlessly blends original content with engaging promotions. 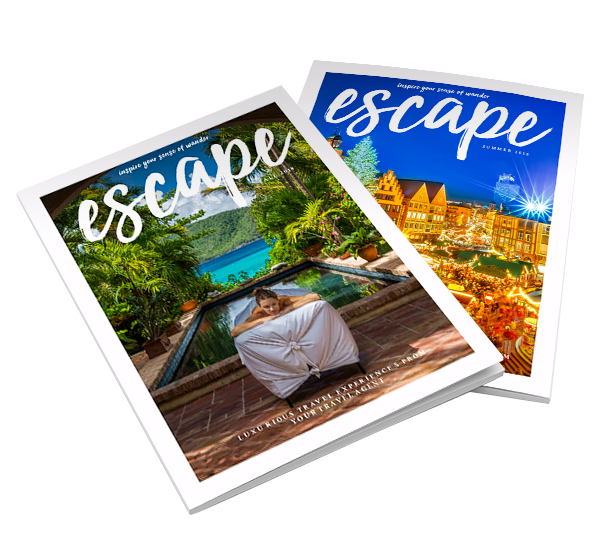 Escape, our award-winning, quarterly magazine, inspires your clients to discover this amazing world of ours one fabulous vacation at a time. Each 40+-page edition comes complete with an integrated, digital and print, business-to-consumer marketing campaign that keeps your name and services front and center with your clients. Escape Insider is our omni-channel Business-to-Consumer (B2C) marketing campaign available to you as part of your Nexion Travel Group membership. 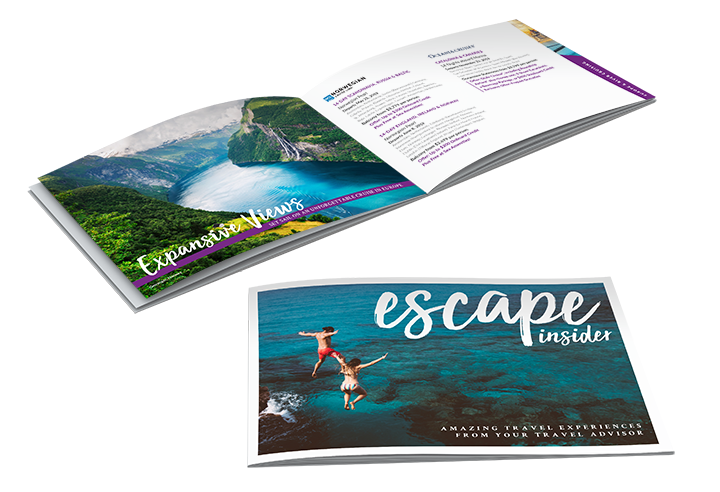 This 20-page, full-color brochure is designed to entice your existing customers to travel more often, featuring close-in tactical travel offers from Nexion Travel Group’s preferred suppliers with a time-sensitive call to action.